Many business owners choose to distribute payroll via debit card instead of utilizing direct deposit or issuing checks to employees. This can be a simple way to make sure employees receive their pay, but potential drawbacks to this system exist as well. Debit cards are quite similar to traditional credit cards because they feature the logo of a major credit card - such as Visa, MasterCard, or another issuer - but the available balances on cards issued by employers are not attached to checking accounts. The balances are funded by the employer. Employers issue debit cards to employees. On payday, the employer loads a balance onto the card in the same amount that would have been given to the employee on a paycheck or through a direct deposit. If an employee's weekly pay is $600 after deductions, every week the debit card is loaded with $600. The debit card is not attached to a checking account, so when all the money has been spent the card is empty until the next payday. It's a relatively new idea to distribute payroll via debit card. Employers have traditionally sent payroll by check or via direct deposit, but with the advent of the prepaid credit cards and the widespread acceptance of gift and debit cards it was only natural that this evolution would take place. Employers use this payroll distribution method for a variety of employees, including full-time, part-time, and contract employees such as freelancers.Some employers give employees the option of choosing their method of receiving payroll, but other employers only offer debit cards as the option for getting paid. While the debit card payroll system has a good number of advantages, it can also have some disadvantages depending on the needs of employees and the debit card used. 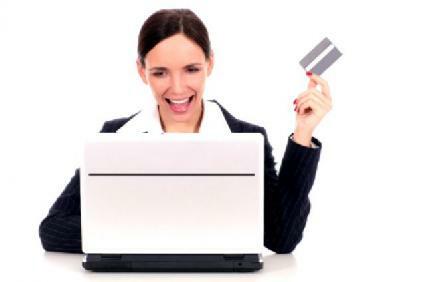 Many employers find debit cards to be an efficient way to distribute payroll. Bank information is kept confidential. Employers no longer carry the burden of storing employees' personal bank information for direct deposit purposes. Recordkeeping is simplified. Some debit card issuers offer tracking reports to employers, which can make the process of keeping financial records much easier. Employees are paid immediately. As soon as the funds are disbursed, the money is available to employees. There is no need to cash a check or await the clearing of a direct deposit. Not all employees like the idea of having their paychecks loaded onto a debit card instead of receiving the funds through other means. Not everyone is comfortable with debit cards. Even though society may be inching toward a cashless society, not everyone embraces debit cards. Using a debit card can actually make some people quite uncomfortable. Debit cards can be lost or stolen. A debit card does not even have to be stolen physically; as long as the thief knows the account number, there is a potential for stealing funds through a variety of means. Even if the card issuer sends another debit card free of charge to replace the lost or stolen card, the employee may have to wait a few days before gaining access to funds while awaiting the arrival of the new card. Debit cards can increase spending. Some employees might not track their spending with a debit card as they would the money within a bank account. If you are interested in payroll via debit card for your employees, talk to the financial institution you hold your business accounts through or visit the websites for Visa, MasterCard, or another debit card provider for more information.